The first day of spring started with snow flurries. Well, I'm putting my fingers in my ears and saying "lalalalalalala" because I'm totally in denial that it's freezing outside! What's funny is that I really don't think winter was as harsh as some of the past years, but for whatever reason, I'm craving spring style SO bad. Brights like this top and these skinnies are getting me through this residual cooler weather. This weekend was great, mainly because I was actually in town and could fall back into my normal routine. On Saturday, we had so much fun at a blogger shoot. Jenna's parents have the most gorgeous house on a lake, and they opened up their home so 5 fashion bloggers could use it as an amazing backdrop. I haven't seen any photos yet, but I am excited to share them with you! More to come soon! Sunday was extremely low key. 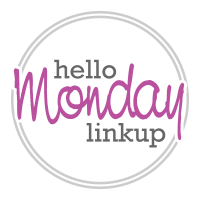 The husband and I did our usual morning workout, went to one of our favorite places for breakfast, then I got caught up on some blogging. Lazy days are the best, especially when you've been going a million miles an hour like I seem to have been lately. I do have a trip this week, but luckily it's only a day trip to Cleveland and back! Thankful that I don't have to pack! Ha! Your hair looks so pretty. I love the turquoise gingham shirt and that gorgeous bag. Happy first day of Spring Caryl!! 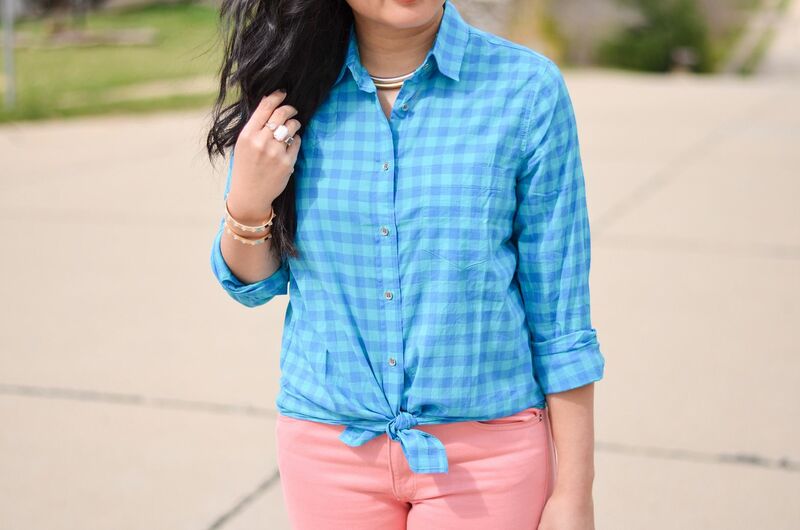 This color combination is so fun and perfect for first day of spring! I love how you styled these beautiful colors! You look super cute! Thank you for hosting!! Love the colours together, such a spring-like outfit! Your hair is beautiful in these pics too :) A relaxing weekend sounds awesome. those salmon pants are to die for! I need some, stat! This is such a fun and vivid color combination! Happy spring! 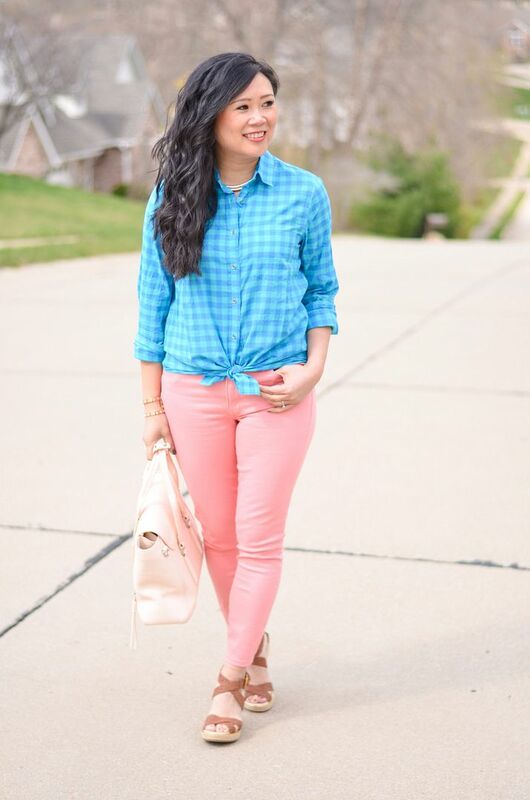 Love this shirt and these two colors in this look! Such a cute casual vibe and loving that bag! Super cute outfit and love your hair like this! 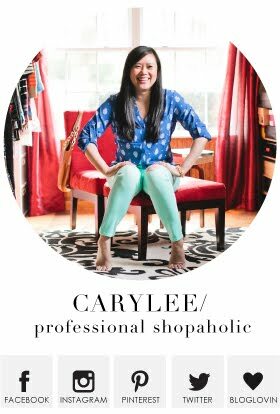 Can't wait to see the photos from the blogger shoot! Love the Spring color mix - Have a lovely week ahead! These colours are SO bright and fun together! You have grass and flowering trees...your spring is way ahead of mine! Everything is still brown and ugly here. Cute outfit! Love the colors! Obsessed with this fun spring mix!! That bag!! So good. How fun to have such a cool shoot at Jenna's parents. I love this look and how you paired different shades of peach with the skinnies and the bag. Have fun in CLEVELAND that's my home town! Turquoise is one of my favorite colors and it looks great with the salmon jeans! It is the perfect color combo for spring! So cute! I'm totally ordering these jeans to try....love them! Oh, hello gingham goddess! Love the turquoise and salmon together! I love the spring feel of this outfit! So cute!! What a cute look, and your hair looks fabulous! You have the best hair. I'm seriously jealous! You don't look a bit cold so I can't tell that it's freezing at all. 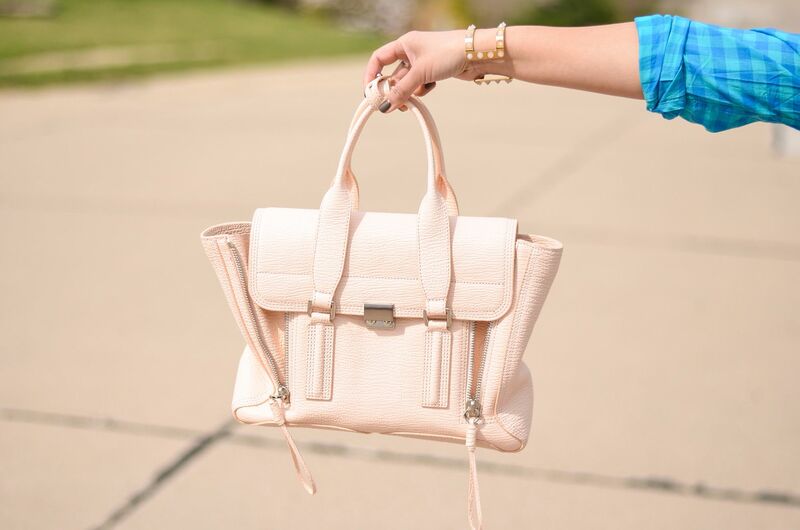 Love this look, it screams spring and the bag is amazing! 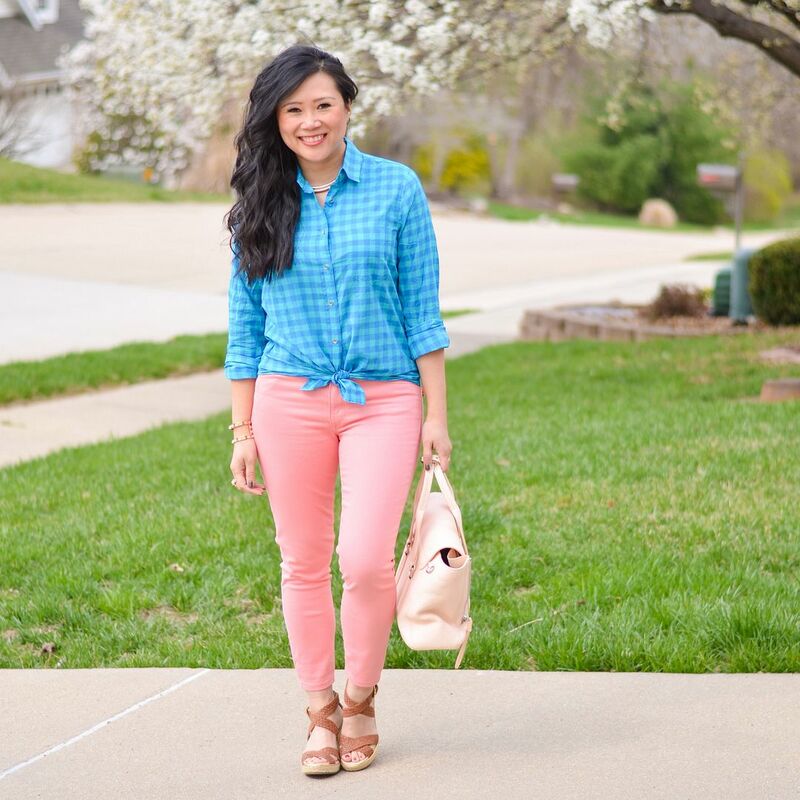 I love this pretty spring look--those colors are so bright and fun! I hope it warms up there--we had a cool blast this weekend too! Love gingham! It looks so cute tied at the waist, too. You're beautiful! 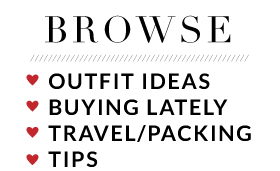 Sounds like a perfect weekend to me...productive, fun with blogging friends, and some much needed relaxation. You styled this look to perfection! I love the spring colors and your hair is just perfect! What a pretty color combo! 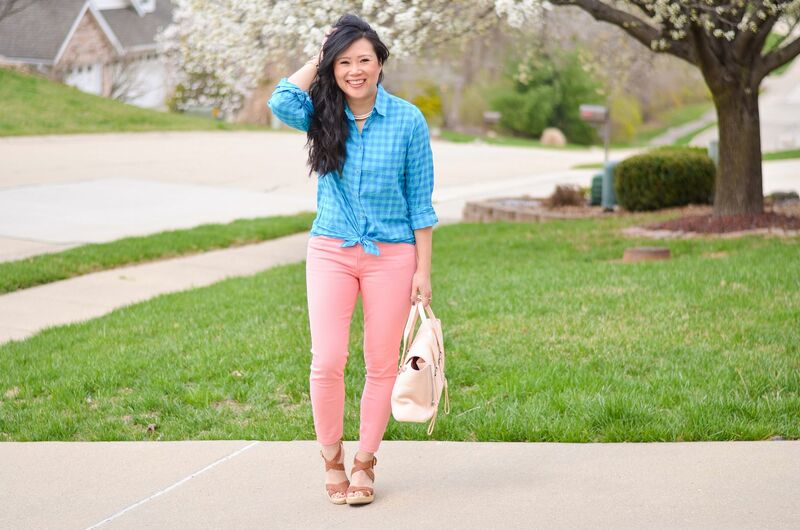 I love bringing plaid into spring and the shade of this top is perfect!